On the same day they voted unanimously to eliminate the minimum length requirement for a segment of travel way to be designated a canopy road, the Sarasota County commissioners also proposed initiatives for an advisory board and their staff to encourage more nurturing and protection of trees in the community. The county protects its grand trees, he pointed out, but he asked how staff and the board could provide incentives to developers to keep as many trees as possible on project sites. “I think it’s worth looking into,” Hines added, especially with so many new projects under way in the county. Maio pointed out that a committee representing area developers meets regularly with county staff to review relevant issues. Perhaps, he said, County Administrator Tom Harmer could ask the members of that group to explore ideas that could be brought to the commissioners for consideration as incentives to developers to save more trees. 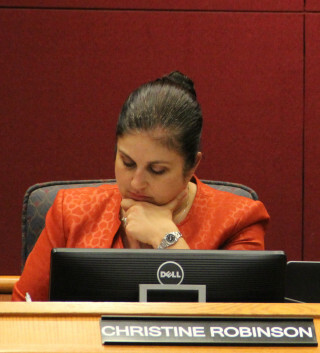 Commissioner Christine Robinson also asked STAC Chair Kevin Greene whether the advisory board members had reviewed the county’s landscaping ordinance to determine whether incentives could be provided in that document to promote the growth of canopy roads. Greene said the STAC members had not undertaken such a review. “It’s something I think is worth examining,” she told him. 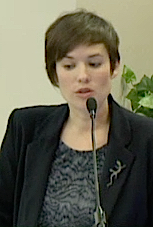 During his presentation, Greene pointed out that the advisory council’s duties include recommending individual street and neighborhood planting projects, as well as priorities among them; nominating new canopy roads for County Commission consideration; and assisting county staff in the dissemination of public information. On the list of STAC action this year, he continued, were the recommendation that the County Commission eliminate the minimum length requirement for canopy roads and the suggestion that the county apply for the Tree City USA Growth Award, which county staff did. The latter effort resulted in the county being honored. As part of its initiatives for next year, Greene noted, the STAC members plan to continue outreach to residents to improve pruning practices, raise awareness about the economic and environmental benefits associated with trees and educate people about the value of trees as wildlife habitat. Further, he pointed out, over-pruning of the Florida State Tree, the cabbage palm, is widespread in Sarasota County. “Previous educational efforts have not seemed to alleviate the situation,” he noted in his presentation. Having learned that other local government jurisdictions have stricter measures in place, Green said, the STAC is examining possible remedies to the Sarasota County situation. Following Greene’s presentation, the County Commission held a public hearing on the proposed changes to the canopy road ordinance. 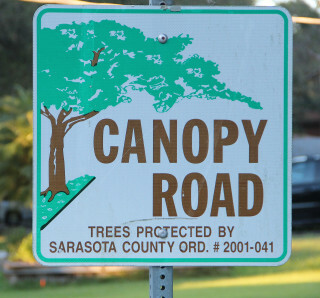 With no member of the public appearing to offer comments, the commission voted quickly to eliminate the necessity that a canopy road have a minimum length of 660 feet. The ordinance explains that the evaluation will be based on the coverage as a percentage of the overall road length, on the condition of the canopy and on the canopy’s composition. 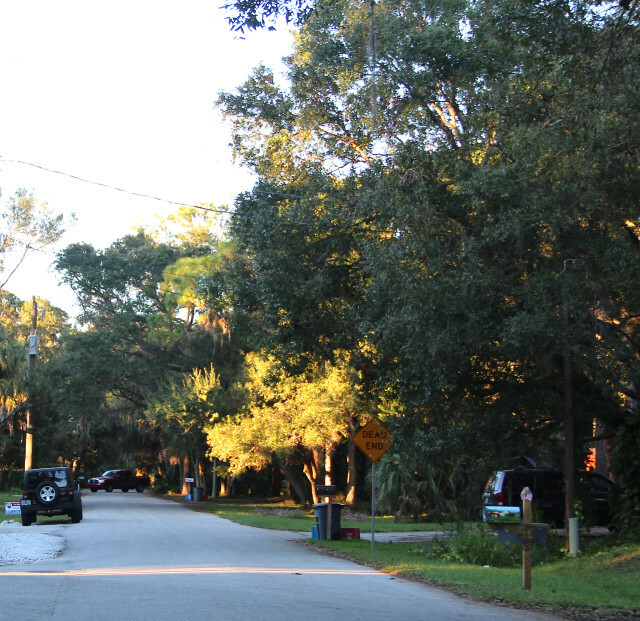 Rachel A. Herman, an environmental planning manager for the county, pointed out that the changes will make it possible for more travel ways to be designated canopy roads.